With an increasing numbers of rental properties being targeted by gangs of cannabis cultivators looking to house their criminal activities, it is unsurprising that hundreds of thousands of cannabis farms were seized in domestic premises last year. 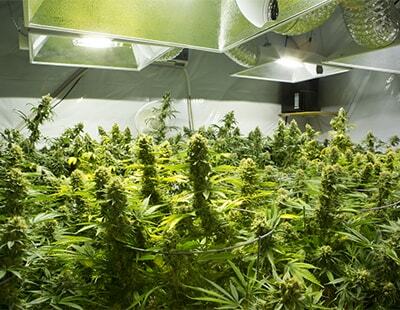 Research shows that gangs are more likely to use a house than a flat, as they need space to cultivate their plants. They also tend to choose secluded properties in areas where there is little through-traffic, such as cul-de-sacs. But police in Hartlepool want to work closely with private landlords in the town to help prevent cannabis farms being set-up in rented properties. Officers speaking at a Safer Hartlepool Partnership meeting last week said the discovery of two cannabis farms at properties in the area last month is an example of the success of the Hartlepool Community Safety Team. A fortnight ago, officers uncovered a cannabis farm containing around 160 mature plants, worth &pound;85,000 at a house in Tankerville Street. The previous week, police raided a house in St Paul&rsquo;s Road, near Hartlepool town centre, and found a farm of over 250 plants with an estimated value of &pound;75,000. According to chief inspector Nigel Burnell, chair of the youth offending board, police officers will now be&nbsp;looking to work far more closely with landlords of rented properties to help identify and prevent potential cannabis farm. He said: &ldquo;It&rsquo;s about addressing the wider issue and problem solving, and how to help support landlords and keep them safe from this. &ldquo;Perhaps we offer to get landlords in and speak to them to raise awareness about this and what to do to prevent it.